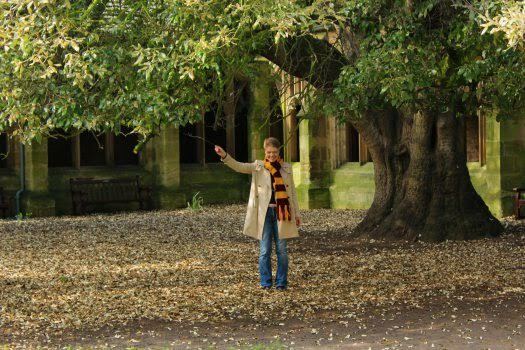 See how Hogwart's student life compares with an Oxford education. See world-famous Harry potter film sites. Potter-mania quiz to win prizes. Be inspired by Oxford! Note: if the calendar shows no availability, please call us on +44 (0) 2079 657 523 or email us to see what we can do for you. Either select to visit New College film site or select Christchurch film site. See inside 2 of the 3 film sites (where & when permitting). Harry Potter film sites entrance fees included in tour fee - normal cost to you of up to £6 per person at New College or up to £12 per person Christchurch. All tours also visit Divinity school film site (at the Bodleian Library), where & when permitting. Available also at any time for private bookings flexible schedule. Morning tours also offered according to the seasonal opening of venues. Private tours also available in other languages with advance notice! Small groups - average under 10 persons outside high season. What is not included: this tour visits either Christchurch or New College- not both. Disclaimer: This tour is inspired by Harry Potter but is in no way associated with, nor endorsed by the producers of Harry Potter. Although we check in advance with college venues, we cannot guarantee you entry as colleges can close without advance notice. Therefore, advance notice is suggested to book this tour!